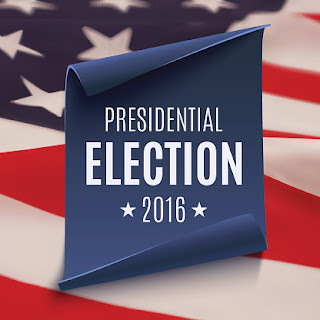 The 2016 Presidential Election is quickly approaching and, once again, it offers a real "teachable moment" in our nation's history. Instead of focusing on all of the negativity that seems to be surrounding the United States political system, take a decidedly "glass half full" approach instead. If running for president were like starting a business (and make no mistake - it basically is), both candidates are providing us with an excellent lesson in customer relations and marketing as we speak. Regardless of what you happen to think about the candidates themselves, one thing is for certain: both candidates know the power of speaking the same language as their target audience. Even though the candidates appear opposed on nearly every issue, it's hard to deny that they're each having a tremendous amount of success within their own bases and supporters precisely because they each know what to say and how to say it within their audience. Each candidate regularly draws crowds in the tens of thousands from their most fervent supporters. However, both candidates are relatively controversial outside of their base supporters, to the point where if they hadn't made an effort to master and hone these unique voices, they would likely be having trouble establishing momentum at this point. Both of them are still very much "in the game" (against all odds) almost entirely because they've taken the time to learn exactly what they need to say and do to build momentum among their own core group of followers. Perhaps the biggest lesson that we can learn from the 2016 Presidential Election, however, has to do with growth. While keeping a loyal, enthusiastic customer base is always important, this is only a means to an end - it isn't the end itself. If you want to continue to grow and evolve as a business, you need to be looking for ways to bring new people into that base and to allow that base to grow. A failure to do so will result in the type of stagnation that will find you spinning your proverbial wheels. This lesson can be seen throughout the election process as well. Often you'll see one candidate making a concerted effort to bring as many new voters into their camp as possible, while another seems to be focused on maintaining their existing voters - which can be a problem when you're running the "business" of a political career. The raw potential of a single customer for a presidential candidate is inherently limited. Regardless of how passionate someone is, or how much they like you, or how much they're willing to show their support for you, they can still only vote a single time. Zeroing in on your original, core group of customers with a laser-sharp focus may be an excellent way to make sure they stick around long enough to make that sale (or vote in November), but it doesn't help you at all regarding expansion. If you're so focused on maintaining this core group of followers that you're willing to alienate everyone who exists outside of your bubble, ultimately you might achieve massive short-term gains, but it'll be at the expense of your long-term goals. Never be so focused on one group of customers that you're willing to push another (possibly larger) one away. Understand that ALL businesses require a steady stream of NEW customers to guarantee the growth they need to survive for years to come.